Ant asphalt paving project requires the project manager to hire the best asphalt equipment. Reputed contractors always ensure they have the right equipment for the job. Customers are advised to make an informed choice before hiring a paving contractor. Selecting the lowest bid may be a poor choice when hiring a qualified and experienced asphalt paving contractor. Potential customers should consider several factors before choosing the right paving equipment. Never hire any asphalt paving contractor who has not invested in modern asphalt paving equipment like the RENOVA. Quality asphalt equipment for paving may not cost less than $100,000 but the efficiency and the technology behind these machines are worth the price and will save you money and time. Any contractor who suggests that he or she can pave using hands with the same effectiveness, and quality level of paving equipment will be a great liar. It is crucial to ascertain the type asphalt paving equipment that your contractor has. It should not be run down because the completion of your asphalt paving project can be adversely affected by a machine that breakdown more often. Asphalt machine might also cool fast. The asphalt needs to be installed as soon as possible to improve the look of a completed pavement project. Therefore, potential customers are advised to ensure that the contractor has well-maintained asphalt equipment before hiring any asphalt paving services. 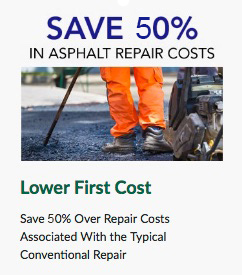 You do not need to pay any down payment to your desired contractor before starting the asphalt paving project. However, down payment applies to projects that cost more than $10,000. A majority of firms that possess asphalt equipment get materials on credit from the various suppliers. They rarely need any deposits from their customers. Making deposits to your asphalt paving contractor may increase the risk of misappropriation of finances. Some unscrupulous contractors also use the funds sourced from customer deposits to complete other stalled asphalt paving projects. Hiring asphalt equipment should be considered as a long-term investment. Appropriately installed asphalt should last for more than two decades. Hiring contractors with substandard paving equipment may cost you lots of money in the long run. Potential clients should ask the contractor all the necessary questions and perform thorough research to make sure that they have selected a firm with the right asphalt paving machine. Always choose a contractor who has sufficient crew. Depending on the nature of the paving project, a standard asphalt paving crew comprises of five to eight workers. Some of the team members should be certified and experienced in operating the asphalt equipment. Having a shortage of employees may delay the asphalt paving project and also affect the entire result of the project. Ensuring that all the staff possesses a workers insurance policy to avoid any liability is also vital. Apart from selecting the ideal asphalt machine, you have to choose high-quality asphalt material. 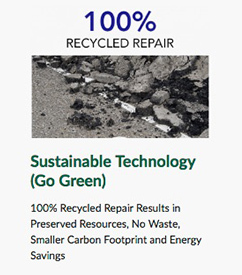 It is fundamental for customers to ask for higher grade asphalt that incorporates less recycled material. The longevity and the overall appearance of your asphalt pavement will primarily depend on the quality of the asphalt material utilized. A majority of contractors opt to have the minimum insurance coverage provided by the state law. Always ensure you are safeguarded from possible liability in case of any accident. The contractor providing you with the asphalt equipment should have all the necessary insurance policies including an Umbrella Policy, Workers Compensation, Auto Liability, and General Liability. Some contractors prefer to rent the asphalt equipment while others opt to lease. Choosing the plan that best suits your needs is of paramount importance. If you select a lease arrangement, you need to consider the length of financing, the lease amount, time of business, and your personal credit score. Always work with experts when choosing your asphalt equipment. 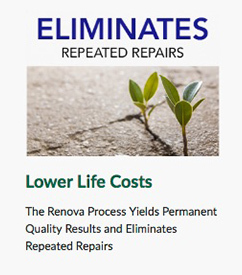 With the RENOVA asphalt recycler, you will be able to create on site hot mix and repair broken asphalt on the road quicker than any other equipment out there.